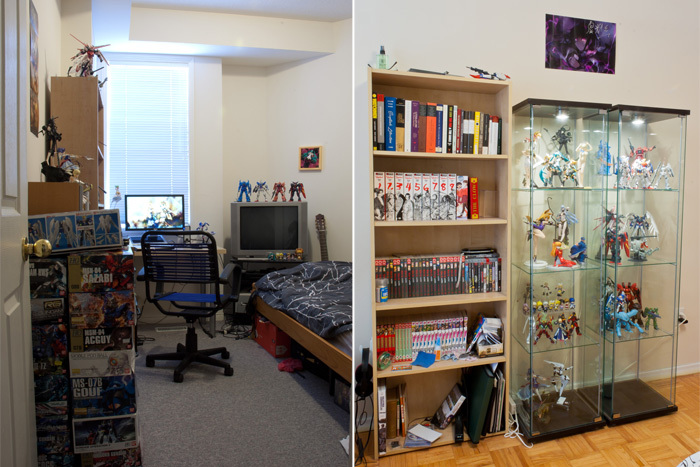 They say lighting never strikes twice, but we all know that saying is full of crap, especially in the figure world. We keep buying the Tony Taka figures with their identical faces, we keep throwing our money at every iteration of Black Rock Shooter figmas, and we keep gobbling up the same familiar shapes of Nendoroids. Indeed, change may very well be a dubious thing to bring into a successful formula, and this might’ve been the case with Drossel von Flügel from Fireball — the unlikely lovechild between Disney and Toei that took the figure world by storm three years ago. While I loved the original figma Drossel, I wasn’t a big fan of Fireball‘s sense of humour. Thankfully, its prequel Fireball Charming relied less on puns and wordplay, and thus its sense of humour was more easily translated across language barriers. Its bolstered budget also made for some really nice art and animation — far beyond the quality of the first season. Still, for whatever reason, the second season just didn’t seem to make that big of a splash, and the reception towards Drossel’s new design has been…lukewarm at best. I get the feeling a lot of people did not like how this robo-girl looks decidedly more “robo” and less “girl”, yet that’s pretty much exactly why I love the design so much (and people wonder why I’m single — hah!). Helloooo everyone and welcome to our second prize figure duo review! This time we’re looking at a prize figure that’s not from Sega in the hopes that it isn’t just Sega who can make a decent figure! 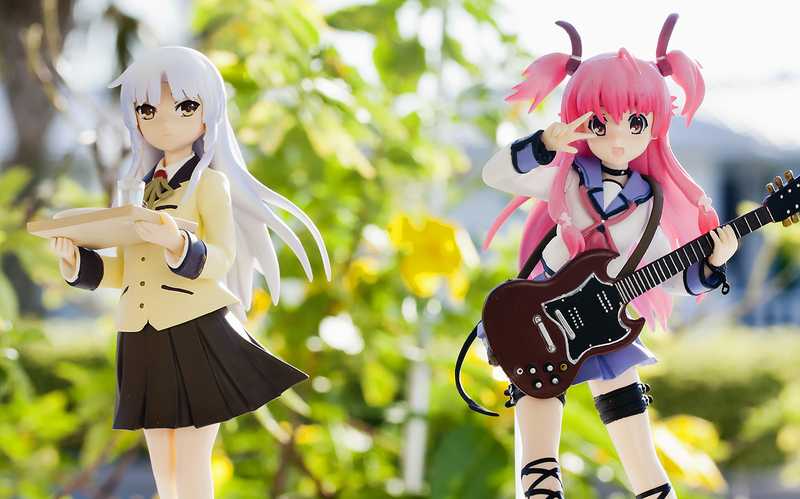 The lucky pair this time hails from Angel Beats probably one of my favorite shows of recent memories. It had its flaws mainly in being rushed, but the content it covered was extremely powerful to me and left a great impression (something I can only say about a few shows…). So unless you’re some sort of stone-hearted jerk *COUGHchagCOUGH* you’d very much enjoy watching it and I wholly recommend to anyone who hasn’t to do so now!